I was, and always will be, a member of Team Mondo. Since fanning him on FB, every once in awhile I hit up his Web site, lovemondotrasho.com to see what the adorable trashy one is up to. BTW, when you hit the site, wait a bit for the front page images to load… you’ll be treated to fun slide show of the many moods of Mondo. How much do you LOVE these earrings? This special edition t-shirt, which raises funds for the Colorado Aids Project, is really cute too. Hopefully some of his work in addition to these kinds of items will become available soon. 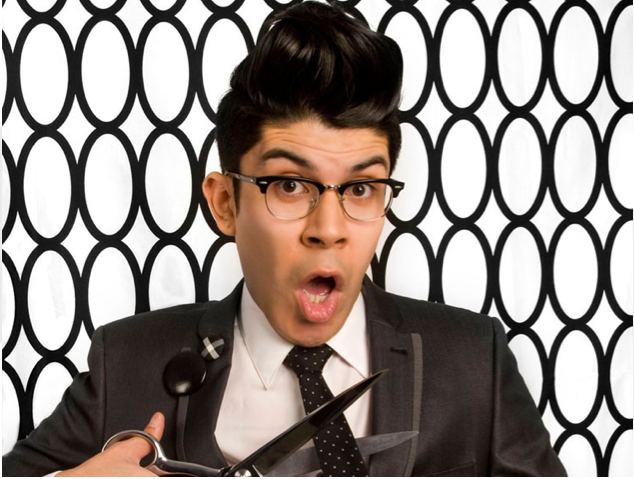 Yeah, Mondo Guerra was the clear winner of Project Runway Season 8. Of course the idiotic judges didn’t realize that, but I’ll save that rant for another time.